The Moroccan kitchen is full of brilliant flavors, scents, and colors. Deeply sensual, Moroccan cuisine evokes images of the Arabian Nights and ancient mysticism that speaks to the senses and inspires the connoisseur with its fragrant spices, dried fruits, and olives. 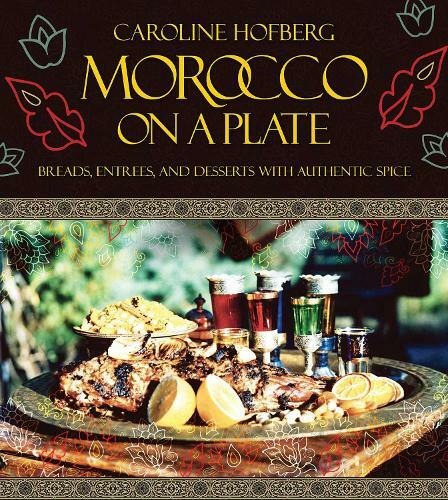 Morocco on a Plate captures on the page the traditions and secrets of Morocco's delicacies and brings them to the Western reader in a stunning display. Luscious photos, bold colors, and passages on the history of Morocco make this book a beautiful addition to the coffee table as well as an indispensable asset to the kitchen counter. With detailed descriptions of ingredients and simple instructions, these recipes are perfect for cooks of any level of experience. Discover authentic Moroccan spices, salads with the tang of citrus, nourishing stews, and exotic desserts. Eat food that embraces color, body, and texture that is not just gorgeous but also healthy and that tastes of distant destinations.